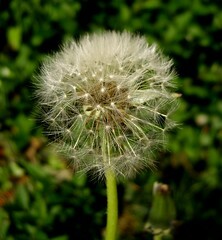 "Your superpower is that you smell like dandelions whenever someone lies. How will you maintain your secret identity?" Assuming proximity to the liar is not a factor, there is probably always someone telling a lie and thusly, I will always smell like dandelions. Immediately the superpower is demoted to an olfactory oddity. I won't even need a secret identity. I'll just open a dandelion shop to use as an excuse. Someone will ask, "Hey, why does that guy always smell like dandelions?" And someone will explain, "Oh, that's Millard Francis. He runs the dandelion store." Also, my name will be Millard Francis. He knows. He knows. He knows it in the nose. He gets a lot of yesses but just as many no's.